Leading Exporter of control panel repair services, aircraft repairs, welding machine repairing service, textile machine repair, electronics manufacturing service and monitor repairing services from Chennai. Star Automations is a leading repair and maintenance service support company for complete Industrial automation. Industrial Automation maintenance Services and support is our core business. We have a team of experienced engineers from different industries to provide industrial automation control panel repairing services and system Programming for new system installations, upgrades to existing automation controls and complete industrial retrofits. 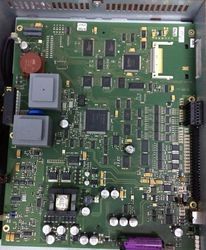 We are able to repair, test and inspect a wide range of equipment on site, including ac drive, servo drive, servo motors, DC drives, power supplies, PLCs, DCS, AVRs, Robotics and other control automation equipment. Star Automations provide best quality repairs, Modifications, Upgrades and Manufacturing any make or model of Textile Machine Controller. 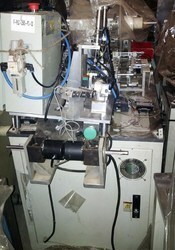 Textile Machine repaired Include for controller ,VFD ,servo drives and servo motors. Our major Support countries are: UAE, Saudi Arabia, Sri Lanka, Bangladesh, Nepal, Thailand, Africa, and UK. Star Automations is a global repair and services company offering custom Electronics design and manufacturing service of any electronics products with embedded and PLC Controller for electrical, electronic and communication control panels and PLC programming, HMI programming, CADA, DCS programming, servo programming ,Automation integration . Our major Support countries are: Saudi Arabia, Sri Lanka, Bangladesh, Nepal, Thailand, Africa, UAE, and UK. 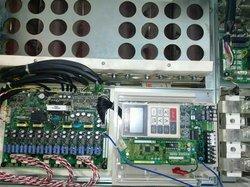 Star Automation specializes in repair and retrofit of Industrial monitor (CRT, LCD). Star Automation is Global repair and maintenance service Provider for power control devices and expert in the field of synchronous motor control and Retrofits. We can offer you a service solution that will meet all your service needs. 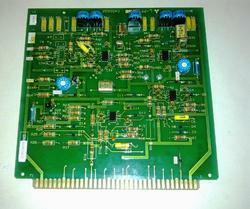 Our service engineers are factory trained to work on several Exciter panels and Digital automatic voltage regulators. Expert troubleshooting, Repair, service and retrofit for aging synchronous generator Excitation Control systems. We provide field services to the electric utility and related industries on virtually all makes and models of generator exciter control systems. Our exciter controller can replace any number of various rotating exciter types. Star Automations specializes in repair and retrofit of Induction furnace. We offer a full-range of upgrade and repair and maintenance services to induction heating, melting and welding equipment. We are the leading players in the Industrial Repair Service & Maintenance in the ability to repair virtually any electronic equipment or Printed Circuit Board with an experience of 15 years. We can service all OEM, Non-Warranty, Upgrades and obsolete repairs, for a wide range of items. We have a team of experienced engineers from different industries to provide industrial automation repairing services and system Programming for new system installations, upgrades to existing automation controls and complete industrial retrofits. Our major export and support countries are: Singapore, Saudi Arabia, Bahrain, Kuwait, Dubai, Oman, Qatar, Abu Dhabi, Egypt, Sri Lanka, Bangladesh, Nepal, Thailand, Indonesia, Africa, USA and UK. 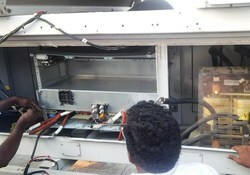 Star Automations is a leading repair and maintenance service support company for Industrial Machinery. Industrial Automation maintenance Services and support is our core business. 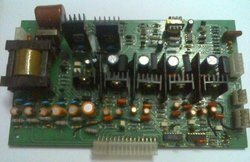 We are the Industrial Repair Service & Maintenance in the ability to repair virtually any electronic machinery/equipment or Printed Circuit Board with an experience of 15 years. We can service all OEM, Non-Warranty, Upgrades and obsolete repairs, for a wide range of items. Star automations offers comprehensive on-site industrial maintenance services and Site Annual Maintenance Services for ac drive, variable frequency drives, dc drives, servo drives, spindle drives, servo motors and other control Systems. Our maintenance team of factory trained and industries experience service engineers can provide this service for all your drives , motors and control system. we offer on-site support for Equipment installation , programming , repair and maintenance , annual maintenance contract and regular preventive maintenance program . · Command Reference of Speed, torque and other communication input signals. · Record the VFD’s parameter settings; it is helpful for future reference. · Don’t lose productivity caused by an unexpected failure. · Optimize life time performance. Our Major Service support countries are: Saudi Arabia, Kuwait, Bahrain, Dubai, Oman, Qatar, Abu Dhabi, Egypt, Sri Lanka, Bangladesh, Nepal, Singapore, Thailand, Indonesia, Africa, German, Nederland, France, USA and UK. 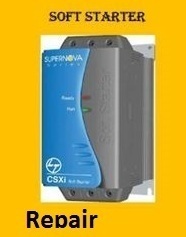 Power Management Service solutions offered comprise high performance oriented power distribution systems. Star automations offers comprehensive Predictive and preventive maintenance services for ac drive, variable frequency drives, dc drives, servo drives, spindle drives, Robotics drives, servo motors and other control Systems. Our maintenance team of factory trained and industries experience service engineers can provide this service for all your drives and motors. Our Major Service support countries are: Saudi Arabia, Kuwait, Dubai, Bahrain, Oman, Qatar, Abu Dhabi, Egypt, Sri Lanka, Nepal, Bangladesh,Singapore, Indonesia,Thailand, Africa, German, Nederland, France, USA and UK. 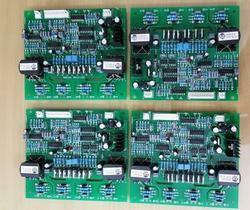 We are an electronic engineering company specializing in Repair and Reverse Engineering of Solar Equipments. Handheld 12-Channel Tele-ECG Instrument Handheld 12-Channel Tele-ECG Instrument. This product will be very helpful in Rural areas in which places, Doctors are not available for immediate care. By using this Equipment we can take ECG of a person & it will be generated in the mobile itself. this report could be sent to a Doctor who will be outside & get his opinion immediately. We have developed a Handheld 12-Channel Tele-ECG Instrument operated with the help of a mobile phone via Bluetooth & we are proud to inform you that this Technology is transferred from BARC, Mumbai to us.. 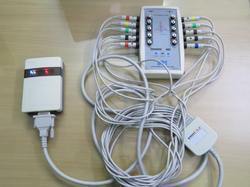 It records all the 12-leads of ECG simultaneously and displays the same on mobile screen. After complete recording, the report is generated in form of an image that can be sent to the expert's mobile through Multimedia Messaging Service (MMS) or any other file sharing apps. The device is ideally suited for rural health care. In city hospitals, the machine can be operated through Laptop/Desktop and report can be shared on Local Area Network (LAN). ECG report in standard graphical format can be taken on a blank A4 size paper. The Tele-ECG system is of considerable importance for developing countries, where more than 70% of the population inhabits rural areas and has meager access to medical facilities. This large section can now be provided state-of-the-art medical care with such Tele-systems. This unit can also be used for personal monitoring for regular follow up. The unit has been upgraded for hospital use having Local Area Network. 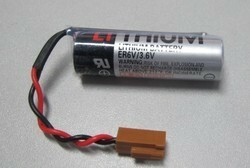 PLC ,CNC , Robot Controller Battery ,Machinery Replacement Batteries. For any other related information required feel free to contact our sales representative. They will help to find your requirement & price possible. Our factory trained talented staff of engineers provide field service, retrofits, upgrades , and preventative maintenance of DC drive, Dc servo systems and industrial controls in all major industries. We are Authorized Service Center and Systems Integrator for L&T Yaskawa Automation product. 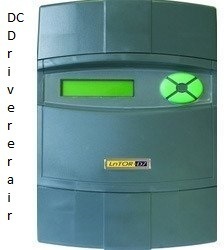 We also stock new and refurbished dc drives from many manufactures. 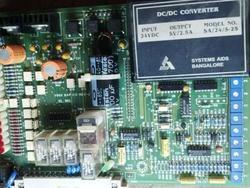 To help minimize your down-time we can exchange or replace your damaged dc drive. 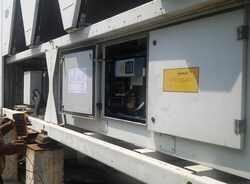 Star Automation specializes in repair and retrofit of AC motor soft Starters. 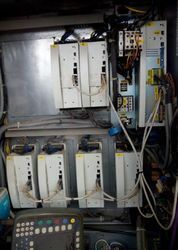 AC drive, Ac Inverter, DC Drive, Soft-Starts, VFD, Medium voltage drive, MV drives, inverter drives, Servo Drive, Servo Pack, Servo Motor, Processor Board, I/O Card, CNC Machine Control card, PLC, LCD, HMI, HVAC, Building Automation System, Power Supply and SMPS, Inverter Welding machine, Plasma cutting,PLC’s, Temperature Controllers, Counters, Logic boards ,Test & measurements and many other specialized electronic boards too numerous to list. 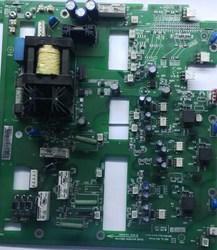 Looking for Electrical & Electronic Goods Repair ?